The QSR market knows that information is the key to improving efficiency and bottom-line results. 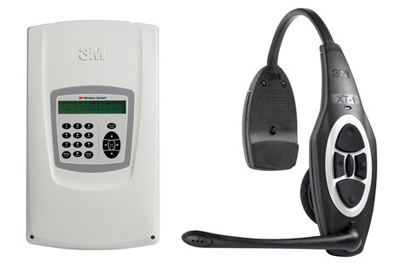 3M Wireless Communication System Model XT-1 is the first drive-thru intercom system to offer remote self diagnostics. Potential problems can be identified before they become critical which saves time and money. The system practically takes care of itself - providing you with assurance that your system is running smoothly. Introducing Attune™. 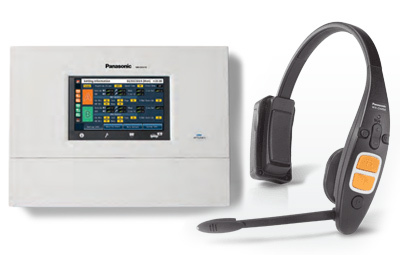 The only digital drive-thru communications system with Panasonic's world renowned audio and wireless digital expertise – for clear and consistent communications with both customers and employees. Engineered to optimize audio transmission technology, Attune helps you improve order accuracy for better profitability, decreasing total cost of ownership. Scalable, customizable and easy to program, Attune offers an exclusive feature set providing enhanced functionality and better overall operation management capabilities. HyperView is designed to help keep your crew from making mistakes. 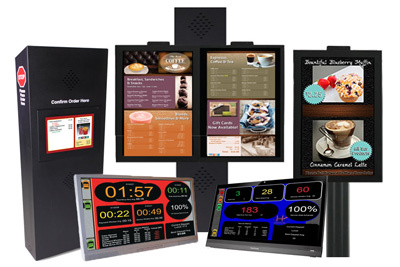 It relies on LCD graphics, easily readable in sunlight or other conditions, which let your customers confirm their own orders. At the same time, it guides customers toward cross-selling and up-selling opportunities which lead to increased revenues. QTimer's advanced drive-thru measurement technology tells the whole story – with real-time order and speed-of-service data displayed in large, easy-to-read graphics. Plus, QTimer gives you real-time, above-store reporting and service metrics that no other timer can!